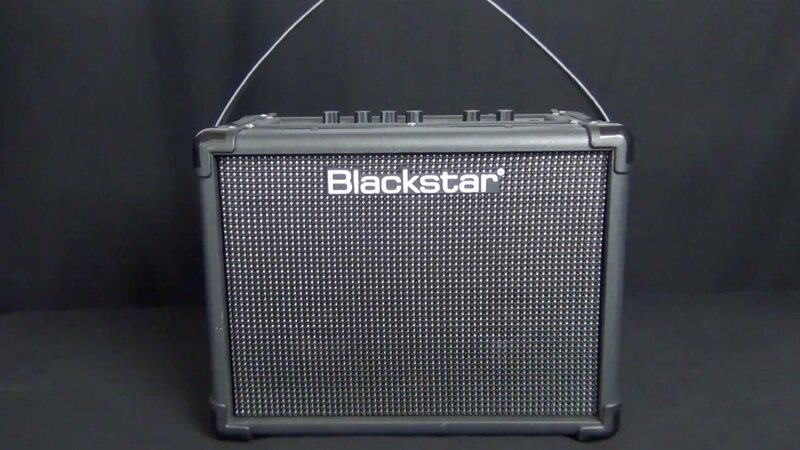 These programmable combo amps feature the core attributes of Blackstar’s original award-winning ID:Series. The range features 10W, 20W and 40W combos, all with super wide stereo, being small in size but huge in tone. We picked the 10 watter to test, which is small – about the size of a shoebox – and light! The ID:Core 10 has two modes of operation; automatic, which gives six on board sounds: Warm Brit Clean, Chiming US Clean, Vintage Crunch, Hot Rodded Drive/Super Crunch, US Overdrive and Saturated Lead/Overdrive; and manual where you can pick your core sound from six pre-amp voicings – Clean Warm, Clean Bright, Crunch, Super Crunch, Overdrive 1 and Overdrive 2 and then add your own Gain, EQ (the patented ISF control which takes you from British to American sounds) and a choice of four Modulation, Delay and reverb effects. If this isn’t enough you can download patches and add them via USB. So what does it sound like? Well first off the Core 10 is just right for practising at home; it’s light, compact and loud enough to give you a great sound from all its options. Throw in the stereo effect and you can get some authentic sounds at low volumes that are just not possible with a valve amp (our other amp is an Egnator Rebel 30 which is loud even at 1W and 2 on the volume dial). With the Core 10 you can plug in your headphones as well to stop the neighbours complaining. A lot of small amps can sound flat and lifeless at normal room volumes (ie: quiet) but this, with Blackstar’s trickery, sounds really good and fairly comes alive, without turning your tone up to 10, particularly with spring reverb where you can hear the full stereo effect. We tried it with a Gibson Midtown Custom with humbuckers, a Viktorian Grace with split coil humbuckers and a Godin 5th Avenue with P90’s and all sounded great. The Clean Bright is a particularly tasty sound that zings. The OD 1 and 2 also hit the mark sounding crisp with good note separation, lacking that muddiness that you can get with small and (let’s be honest at £89.00) cheap amps. All of the settings produce fairly distinct tones and with all the options there will be a sound, or three, in here that you will like and want to stick with. Even with headphones the sounds are crisp and distinct; what did we do before this came along? At £79 for the first version and £99 for the latest V2 this is a bargain and highly recommended.